Acupuncture involves the insertion of extremely thin needles through your skin, to various depths at strategic points on your body. Acupuncture originated in China thousands of years ago, but over the past two decades its popularity has grown significantly within the United States. Although scientists don’t fully understand how or why acupuncture works, some studies indicate that it may provide a number of medical benefits — from reducing pain to helping with chemotherapy-induced nausea. 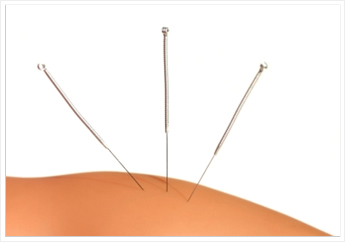 Acupuncture therapy usually involves a series of weekly or biweekly treatments in an outpatient setting. It’s common to have up to 12 treatments in total. Although each acupuncture practitioner has his or her own unique style, each visit typically includes an exam and an assessment of your current condition, the insertion of needles, and a discussion about self-care tips. An acupuncture visit generally lasts about 30 minutes. Before the needles are placed, you’ll lie down on a comfortable surface. Depending on where the needles are to go, you will lie face-down, face-up or on your side. Make sure that your acupuncturist uses single-use sterile packaged needles. You may feel a brief, sharp sensation when the needle is inserted, but generally the procedure isn’t painful. It’s common, however, to feel a deep aching sensation when the needle reaches the correct depth. After placement, the needles are sometimes moved gently or stimulated with electricity or heat. As many as a dozen needles may need to be placed for each treatment. Once the needles are inserted, they’re usually left in place for five to 20 minutes.